The source of the river Vézère rises on the “Plateau de Millevaches” (The Plateau of a Thousand Cows) and joins the river Dordogne in Limeuil. The Kayak World Championships of 2000 where held on the upper part of the river that runs through the department of the Corrèze. In the department of the Périgord (Dordogne) the river flows at a more leisurely pace to allow people travelling on the river Vézère to admire “la vallée de l’Homme” (The Valley of Mankind). 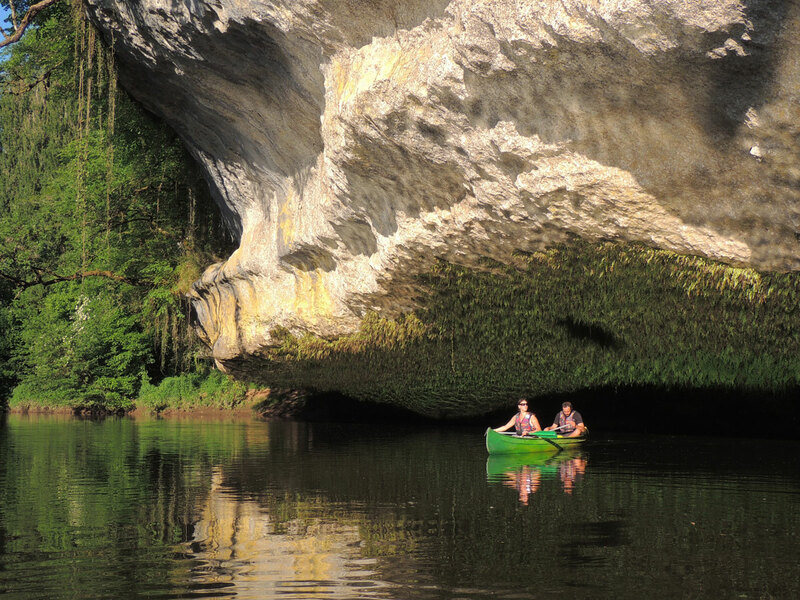 We invite you to come and canoe down the Vézère, admiring the many natural and historic sites along its banks. You will be charmed by its cliffs, its greenness and the wild yet calm atmosphere. “Travel back in time, canoeing down the Vézère”! APA apa Aventure Plein Air à at Saint-Léon-sur-Vézère. Philippe COLOMY is an ex member of the French national canoeing team and holds the state diploma for canoeing and kayaking. He invites you to come and share his sport with his team. 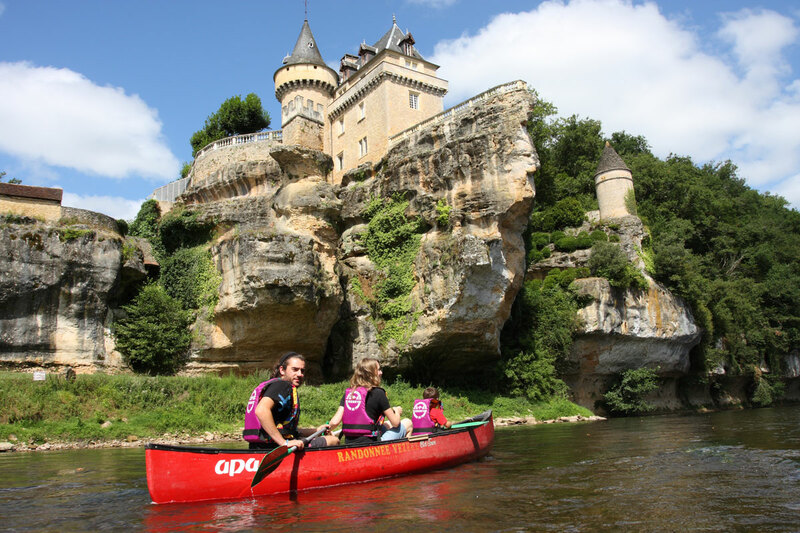 7 different ways of discovering the Vézère valley from a canoe! Either accompanied by our instructors holding state diplomas or unaccompanied. The courses varying in length from 6, 8, 12, 14, 18, 24, or 30 km, they may also be covered over a period of 2/3 days. For yourself or the family. Old Town for the purists. Regardless of which course you choose, the meeting point is at the apa base located in Saint-Léon-sur-Vézère, one of the most beautiful French villages, amid the loveliest stretches of the river Vézère. Groups of at least 6 people. All must be able to swim. 1h15 course downstream from the one used for the 2000 Kayak World Championships. Rafts available for 6 to 8 people piloted by our fully qualified guides, who hold state diplomas. Rubber wet-suits and socks are provided as well as a wind-cheater, a life-jacket, a helmet and a paddle. We collect you in Brive and take you to your departure point. We return you to the Brive meeting point at the end of your session – a 30 mn trip.